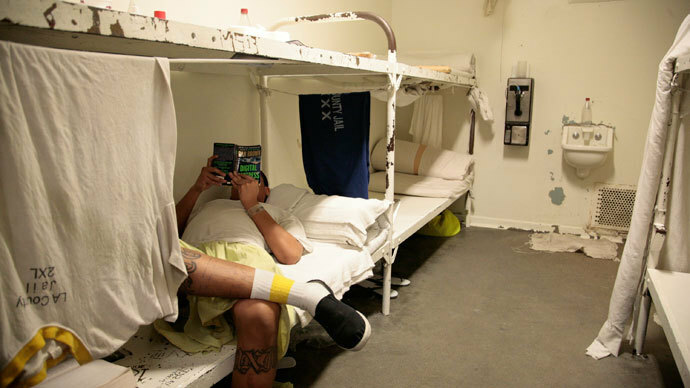 Dozens of inmates on a hunger strike in California prisons have been hospitalized – 40 days into an organized fast by 200 prisoners. The inmates are protesting state prison conditions, including increasing reliance on solitary confinement as a punishment. Prison doctors say they fear for the health of 118 prisoners who have been on continuous hunger strike since July 8, when tens of thousands of inmates in California prisons refused breakfast. The units, where prisoners are kept in cells for 23 hours per day and allowed an hour of solitary exercise in an enclosed yard, have raised concerns from human rights activists, who argue that prisoners are harmed by a lack of social interaction. According to nutritionists, by the 40th day of refusing food inmates will be suffering from a series of medical and psychological problems, some of which may cause irreparable damage to their health. "Everything shrinks and the body tends to be starving and just about nothing else," Dr. Marc Hellerstein, who studies nutrition at the University of California, Berkeley told Reuters. "They will have less judgment, they will have less interest, they will become socially withdrawn and isolated. They just want to curl up in a corner." The receiver's office has not published the total number of inmates who began eating again after falling ill, but strike participation is dropping. According to officials, 292 inmates remained on hunger strike Monday, including 144 continuously since the action began. By Thursday, 226 were on hunger striker, 118 continuously. Among the complaints sending inmates to hospital are dehydration, cramping, vomiting, diarrhea, dizziness and lightheadedness. 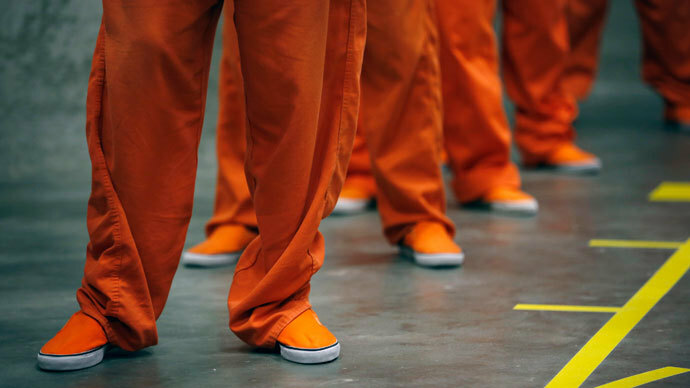 "It can have long-term effects on your internal organs as your body is pretty much eating itself from the inside out," said Liz Gransee, a spokeswoman for the federal receiver overseeing care in the state's prisons. 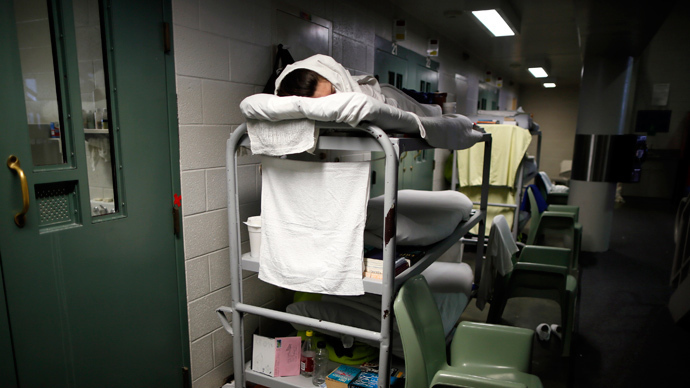 One inmate who participated in the hunger strike has died in solitary confinement. Thirty-two year old William Sell ended his hunger strike on July 21, but hanged himself the next day. He was serving a life sentence for attempted murder, and was awaiting trial for the murder of a cellmate. Prison rights activists said his death was a result of his participation in the fasting. The hunger strike is aimed at improving conditions at four Secure Housing Units where over 4,500 inmates are held in near-isolation, some for committing crimes while incarcerated and others believed to be gang members. The protest has already gone on twice as long as a similar hunger strike in 2011. More than 30,000 convicts refused meals in the first days of the mass strike. Numbers have dramatically dropped since then, with roughly 1,000 inmates at 11 prisons participating 20 days later. 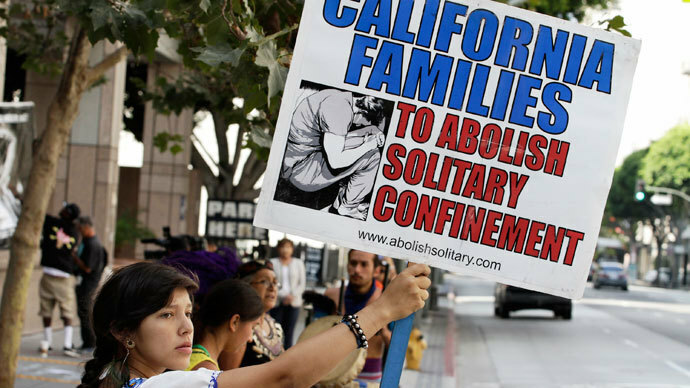 Amnesty International has called on the US Justice Department to stop punishing California prison hunger strikers who are protesting unregulated solitary confinement policies. 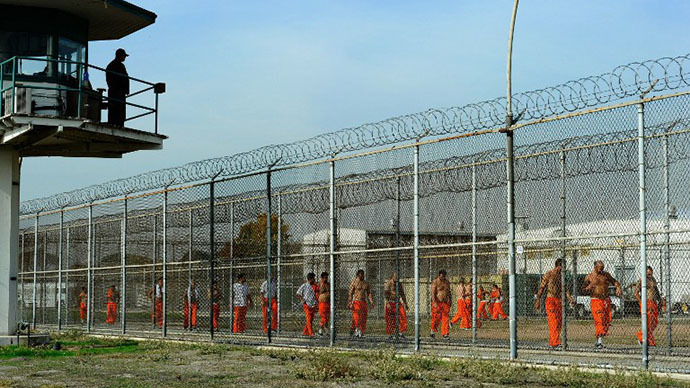 Earlier this month, despite warnings from California officials, the Supreme Court gave the go-ahead for the early release of nearly 10,000 California inmates by year's end to ease overcrowding at 33 adult prisons. The court dismissed a complaint by California Governor Jerry Brown seeking to halt the early release, which had been approved by a lower court. Brown argued that releasing 10,000 inmates would mean letting violent criminals out on the streets. A panel of three federal judges had previously ordered the state to cut its prison population by nearly 8 percent to roughly 110,000 inmates by December 31 to avoid conditions amounting to cruel and unusual punishment. That panel, responding to decades of lawsuits filed by inmates, repeatedly ordered early releases after finding inmates were needlessly dying and suffering because of inadequate medical and mental health care caused by overcrowding, AP reported. Court-appointed experts discovered that the prison system had a suicide rate that worsened last year to 24 per 100,000 inmates, far in excess of the national average in state prisons of 16 suicides per 100,000 inmates.